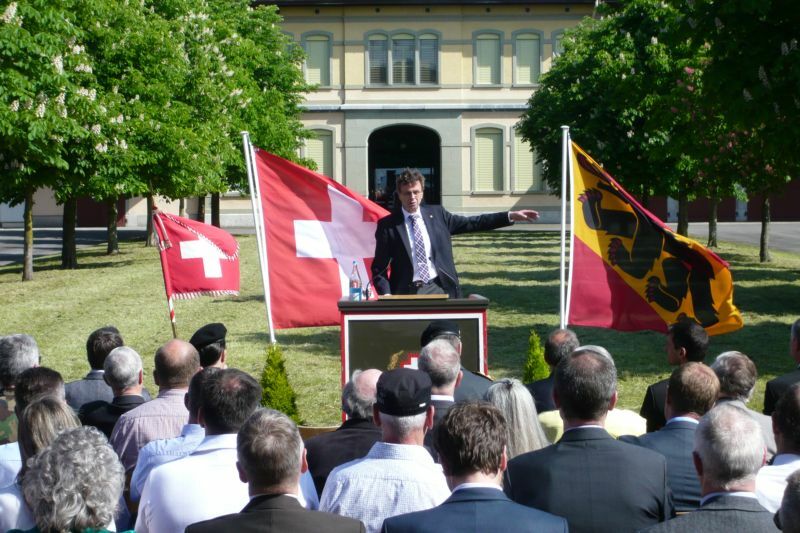 Last Friday, May 20, 2016, in a simple but dignified celebration, the Foundation officially took over the collection deposit provided by the Confederation. 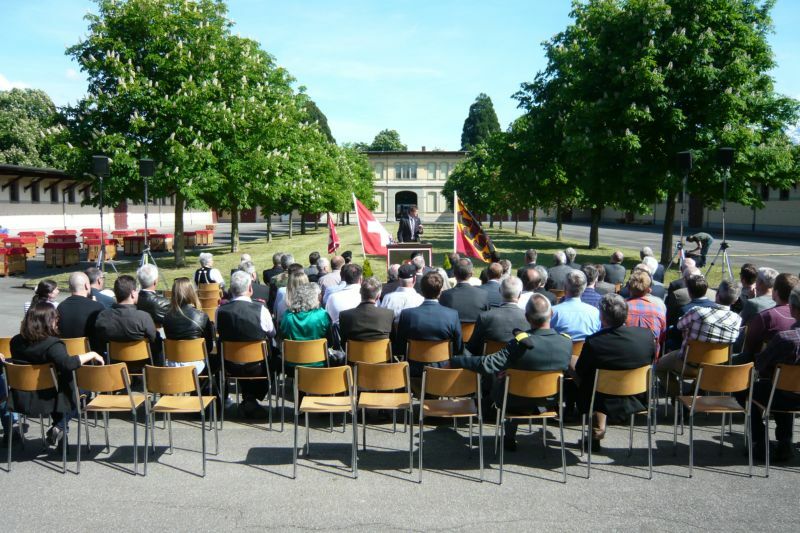 About 100 invited guests accepted the invitation and thus proved the successful conversion the due honor. 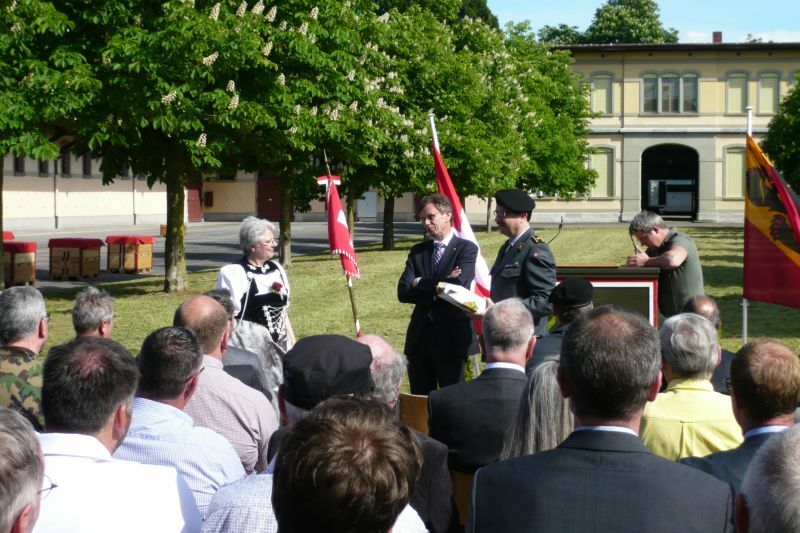 The external conditions allowed to integrate some of the elements of the historic building into the ceremony moderated by Brigadier Rolf Siegenthaler. 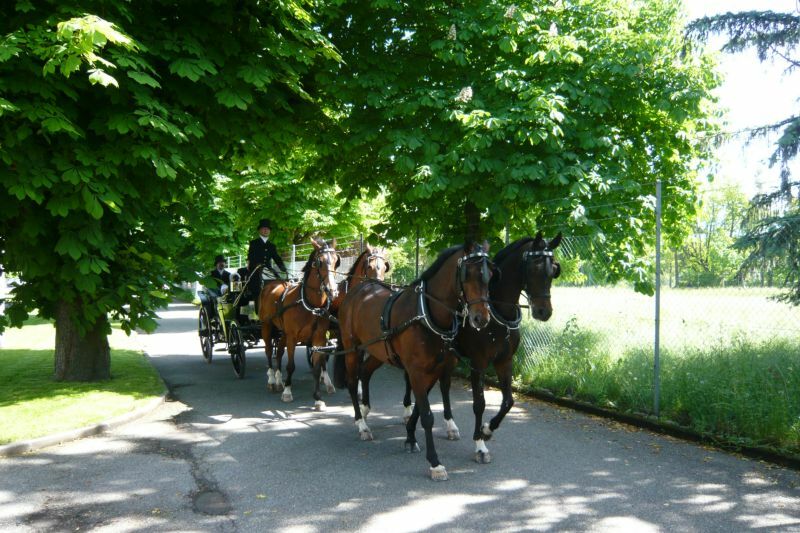 The two speakers, from the Canton of Berne, Mr President of the Government Hans-Jürg Käser and the Swiss Confederation, Claude Meier, Chief of the Army Staff, were led into the courtyard of the former Pferderegie with a four-horse Landauer. 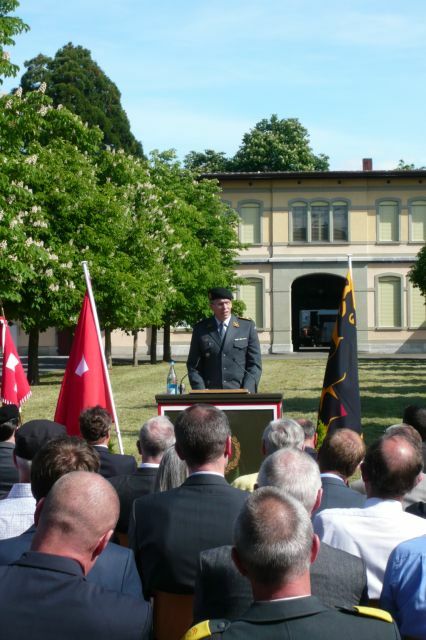 In their greetings, they have succeeded in integrating their own reference to the building, the fundamental importance of the historical material of the Swiss Army and the mission of the HAM Foundation in the context of the inauguration ceremony. After the brief but impressive ceremonial part, guests were able to enjoy a delicious buffet. If you wish, you could join a tour of the newly occupied and partly already furnished Depoträume. 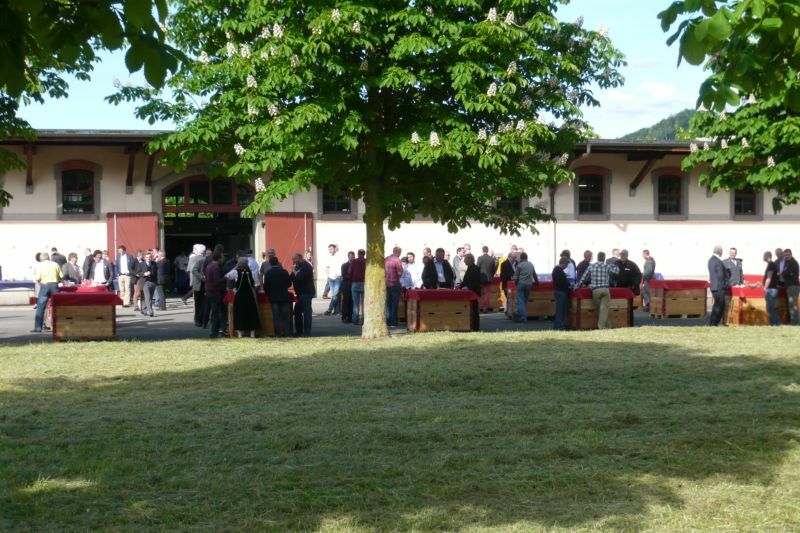 The enthusiasm of the participating guests over the already existing Schaulager is part of the motivation for the employees of the HAM Foundation to keep alive the feu sacré mentioned in the ceremony and to further nourish it.